Learning how to make playdough is something every family should do, it’s so easy and the possibilities with using it for activities and learning are endless. 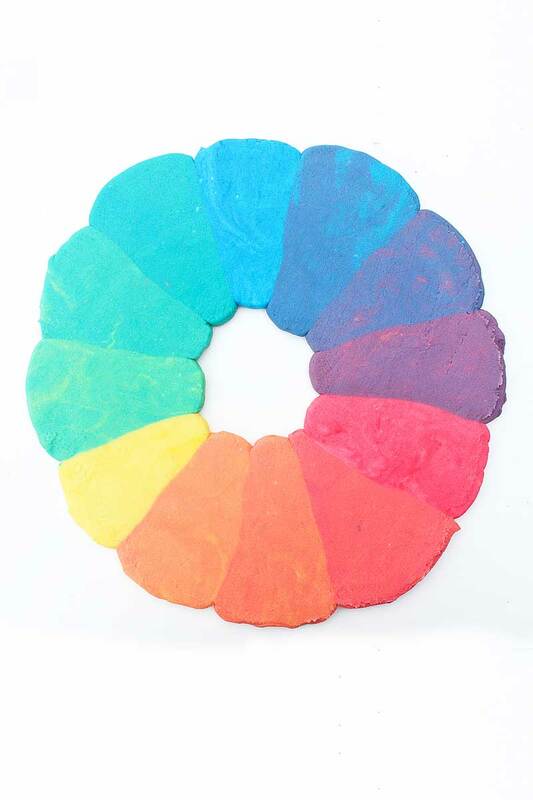 We recently made a batch and as we were mixing up the colors I realized it would be fun to make a Rainbow Playdough Color Wheel to introduce my kids to color theory through play. This is one of those projects that is best explained through images. 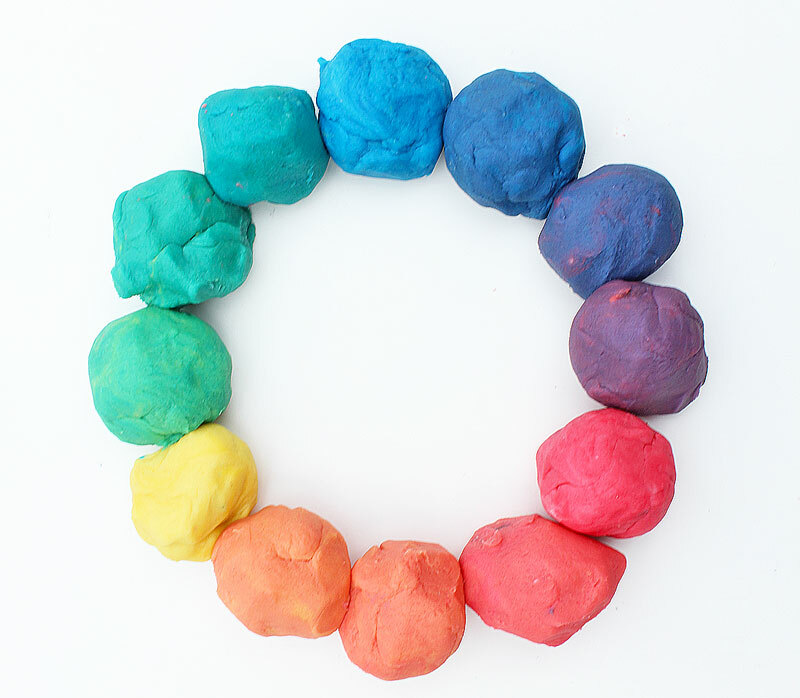 First you will learn how to make playdough using the Basic Recipe, then you can scroll down to see how to color it into a color wheel through a visual tutorial. 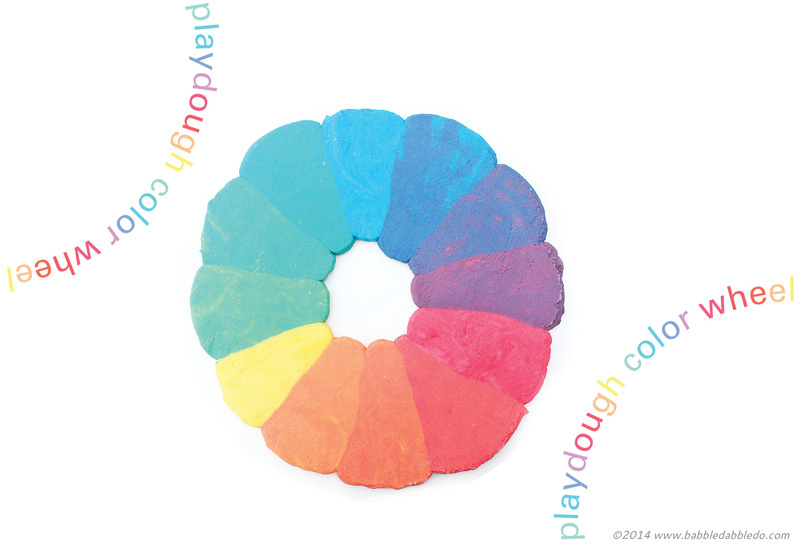 When we were done with the color wheel I brought out the playdough toys and the kids cut it up, mixed it, and had a blast! 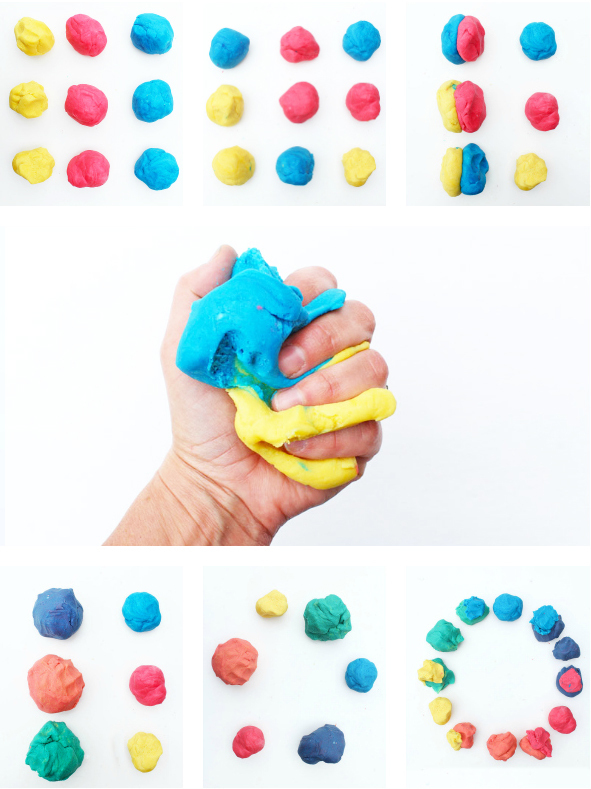 For a no-cook play dough recipe go here. Combine all ingredients in a large saucepan and heat until warmed. Scrape dough into a large bowl and let cool. Dough will be less sticky once cooled. If the dough is still too tacky, add a little bit of flour to the cooled dough and combine. Step One Divide your dough into three equal chunks and pace each one in a separate bowl or Tupperware container. Step Two Add 1 teaspoon of liquid watercolor to one of the dough chunks. Fold it into the dough with your hands and knead until combined. Step Three Repeat with the other two colors so that you have 3 chunks of dough total, one red, one blue, one yellow. Step One Divide your red, blue, and yellow playdough in fourths. Set two chunks of each primary color aside, one chunk will be for the color wheel and the other used for mixing (not shown in tutorial). Combine one chunk of red and yellow to make orange, blue and red to make purple, and yellow and blue to make green. Step Two Divide your secondary colors into thirds and set aside one chunk each as a pure color. You want to have one gradient color between each primary and secondary color. Add more of each primary color to the gradient colors to make a color in a shade in between the primary and secondary color. This is not an exact science, you will need to use more or less of your primary colors to achieve the right shade. 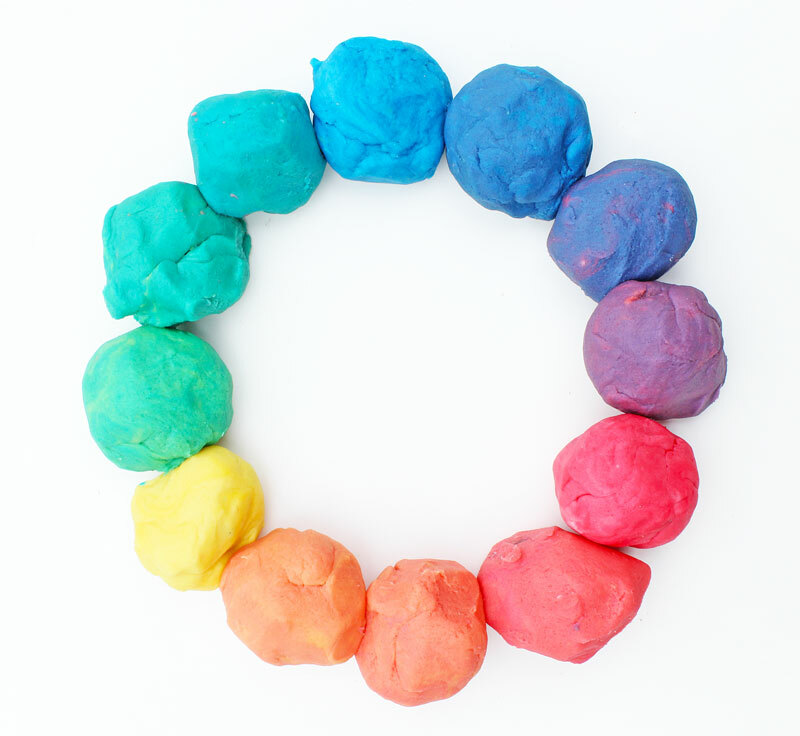 Step Three When you are done, arrange your playdough color balls in a gradient circle. 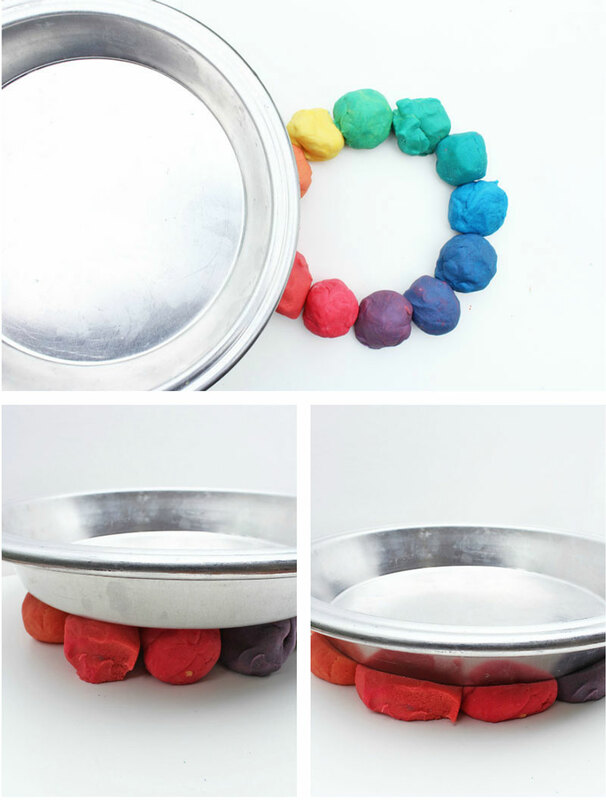 Take a glass pie pan or other dish with a flat bottom and flatten the playdough. It will spread out to make a color wheel! Remove the pan. Sir Isaac Newton. Did you know that Sir Isaac Newton was the one of the first scientists to study color? He is famous for many of his scientific exploits, but his study of optics and the spectrum is why we are talking about him here today. Newton believed in the existence of the spectrum, that white light actually consisted of the colors of the rainbow, an idea that sparked some debate at the time he advocated it in the late 1600’s. To illustrate the spectrum Newton broke light out into the rainbow with a prism and then reconstructed it using a lens and a second prism. He documented his ideas regarding light in a famous book called Optiks. According to this article he was the first person to create a color wheel, the basis for color theory used today. To read more about color theory hop over here. 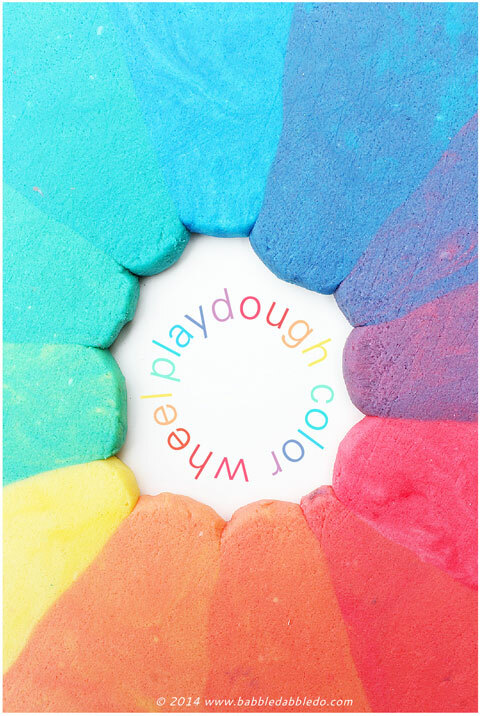 So now that you know how to make playdough you are ready to use it for endless play and learning activities; since we focus on creative activities here on Babble Dabble Do I couldn’t help but steer our playdough towards learning about color and color theory. If you love this direction too, I’ve got more places you need to head to! 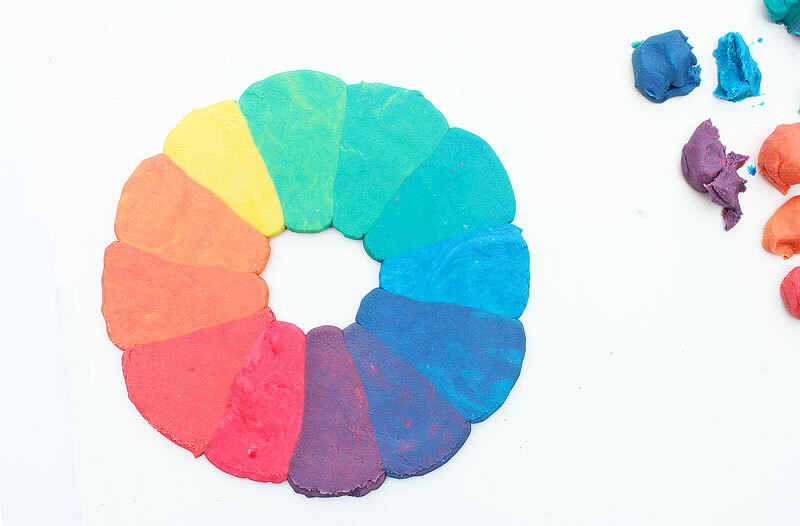 Tiny Rotten Peants has a great post about basic color theory using play dough: Color Theory Playdough and Art Bar has design geeked out to make Pantone color play dough. If you don’t know what Pantone is then now is the time to find out!